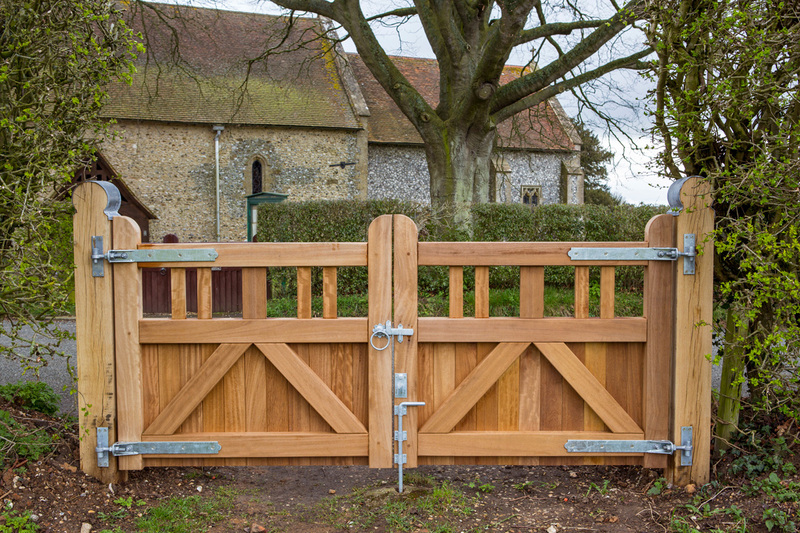 The perfect complement to a traditional or country home, timber gates give you privacy and security while forming a beautiful entrance to your property. 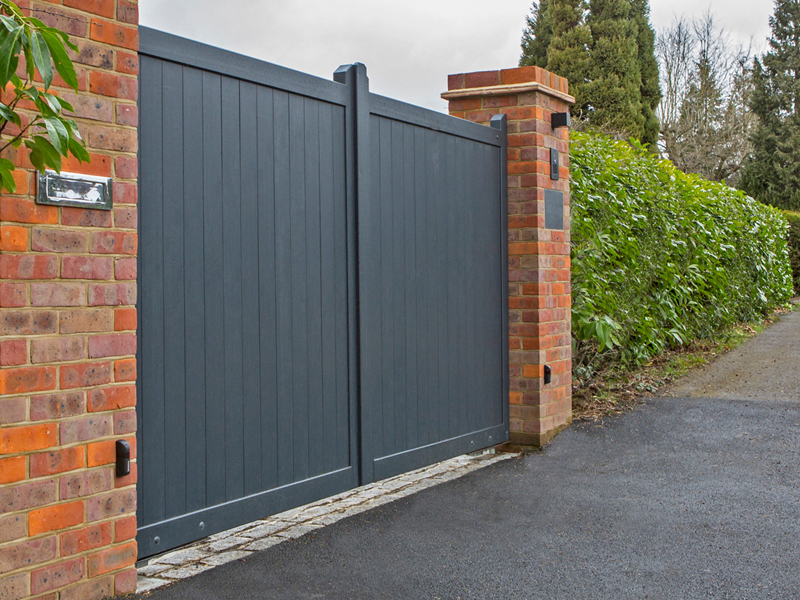 Whether it’s a standard five-bar field gate or a high-end oak estate gate you need, we’ll produce a gate that is a perfect fit for your house and its surroundings. Our timber gates are available in flat top, arched or herringbone style. Close-boarded, they provide a solid screen that gives you privacy and keeps your home and family safe and secure. 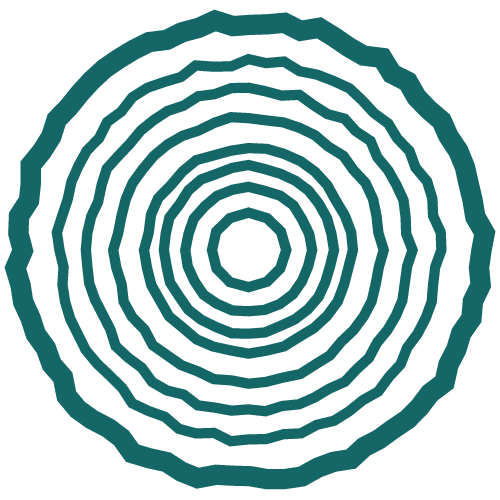 We work with well-established manufacturers who use only the very finest sustainable hardwoods that will never bow or split. 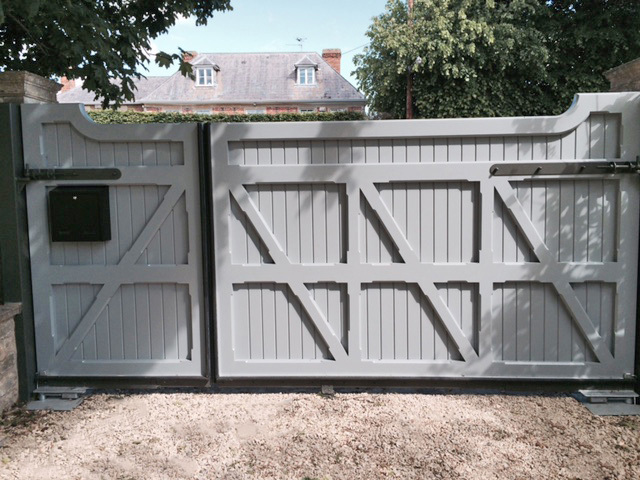 All gates are supplied unfinished, giving you a blank canvas that you can stain, varnish. From classic styles to more contemporary designs, our bespoke timber gates are handmade by some of the most experienced joiners in the UK. Let us know what you need, and we’ll help you to choose a shape and style. 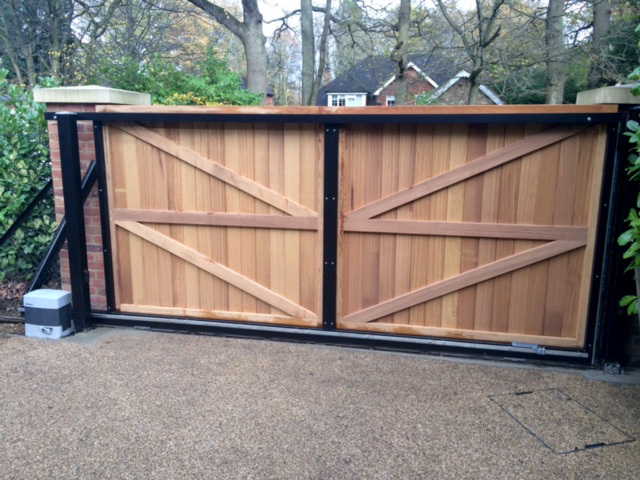 Most of our gates are crafted using iroko, an African hardwood, which produces a solid and long-lasting structure. We also use a lot of Oak, Sapele and Idigbo – but our joiners can work with any wood you like. Even the finest quality timbers will change shape and behave unpredictably as the seasons turn. Starting with a metal frame and then cladding or infilling with timber will create a ‘full timber’ look while remaining stable in all conditions.